White labeling is not included in standard support. Please purchase here. Fill in your company's information. These fields will be used to replace all references to "QZ" for use in files, directories, and the GUI. 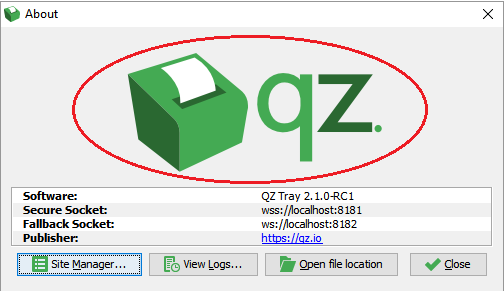 Application Name QZ Tray Main application name appears Control Panel, desktop shortcuts, etc. Provide your brand's images. You will need to upload 5 images for the build process. Optional: input your email address if you would like an alert when the build is complete.